Story Contracting has been shortlisted for the national ‘Most Interesting Awards’ managed by the Rail Exec Club. Story’s Scarborough Bridge reconstruction project has been chosen alongside five other national projects all hoping to clinch the Most Interesting Railway Infrastructure Development award. 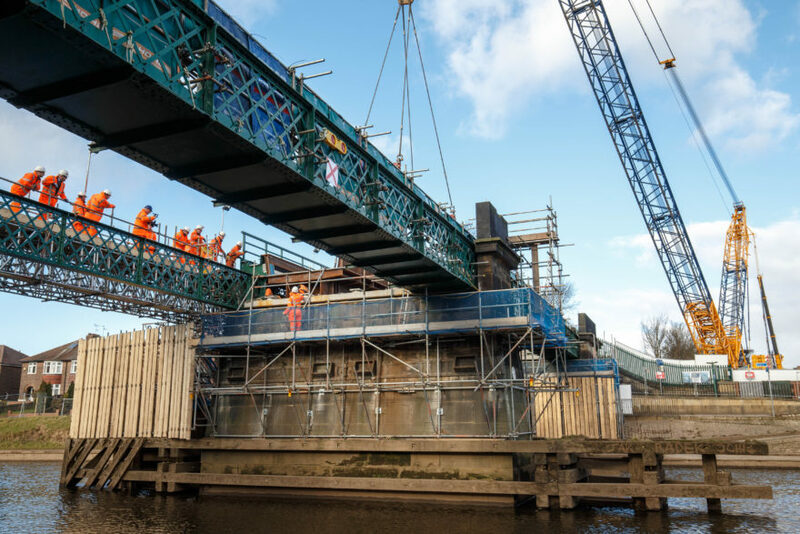 Working together with Network Rail, Story Contracting helped deliver the most significant improvements to Scarborough Bridge in York since the bridge was built in 1875. This was no ordinary bridge reconstruction. Sitting just 40 metres off the end of Platform 4 at York Station, its location and proximity to the local residential properties and businesses, along with the restrictions caused by setting up a major project site in the centre of the historic city of York required an exceptional collaborative approach by the project team. The only option to remove the four badly worn 22 metre wrought 140 year old iron and timber bridge decks was to assemble a 500T crawler crane on the side of the River Ouse. The crane became a popular spectacle from the day it arrived on the back of 17 trucks. It took three days to build with a 200 tonne smaller crane. When the public realised the scale of the crane and saw the boom reaching 85m, 14 metres higher than York Minster’s Lantern Tower public interest surrounding the project grew and the first lifting of one of the bridge decks generated 32,000 views on facebook. The £6 million project was successfully completed during the nine day Scarborough to Seamer line closure and reopened on time alongside £3 million of further works carried out on the line during this period.